According to a study, adherence to a treatment plan is mainly affected by its duration and frequency. Pet owners tend to become less compliant to the entire treatment course if it is longer and more frequent. That is why a breakthrough antibiotic that could provide long term treatment in a single dose piqued the curiosity of a lot of pet owners and veterinarians. We will fully explore this medication – its benefits, side effects, and some questions you may have about the drug. 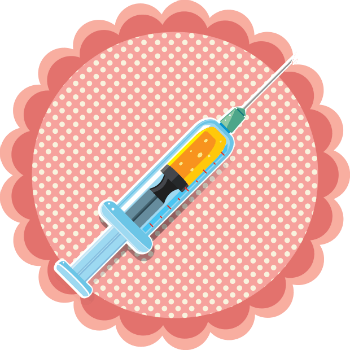 Here is everything you need to know about convenia injection for cats. Convenia is a brand name of an antibiotic from the Cephalosporins classification, manufactured and distributed by Zoetis. Its generic name is Cefovecin Sodium and is administered through subcutaneous injection as a single-dose treatment. It is actually the first antibiotic that can be given through a single administration. It is intended to treat bacterial skin and soft tissue infection caused by a certain strain of bacteria as well as urinary tract infection, and upper respiratory tract infection of both dogs and cats. Skin infections addressed by Convenia can be wounds, pyoderma, and abscesses. You might be surprised at how easy your pets can acquire these infections. Your once healthy pet can become susceptible to diseases simply by scratching, licking, or biting. It’s actually shocking what a simple bite and scratch can do, right? As soon as the integrity of pets’ skin is compromised, bacteria can enter, grow, and foster. Then it is open season for infection when left untreated! One thing you have to bear in mind before administering Convenia to your cat is that it should be given ONLY under the advisement and prescription of a licensed veterinarian. Under no circumstances, you should give it to your cat without proper consultation first. Now that we have that out of the way, let us talk about how much is given to your cat. Convenia is given as a single-dose injection of 3.6 mg/lb or 0.045 ml/lb. For example, a domestic cat of 10 lbs should only receive 36 mg or 0.45 ml of Convenia. The selling point of Convenia is that it is very convenient to administer. Medicating cats can be a gruesome task especially when they are sick. Instead of giving oral medications repeatedly, all it takes is one visit to the vet for a shot. That single shot is equivalent to 14 days of antibiotic treatment. Should there be no improvement in your cat’s condition after 3-5 days, you should check with your vet. There might be a need to reassess the diagnosis and course of treatment. Traces of Convenia may stay in the body for 65 days. Imagine squeezing in 14 days worth of treatment in one single shot. That is how potent Convenia is. It is a fast-acting antibiotic that takes effect within a few hours after injection. The active ingredient in Convenia – Cefovecin Sodium, is a third-generation cephalosporin that fights infection by breaking the bacterial cell wall. Convenia starts fighting bacterial infection within two hours of administration in cats. Of course, every situation varies and no difference in the wound site can be observed at this point. But the drug is starting to take effect and will continue to serve its purpose for the whole duration of the treatment which is 14 days. Convenia is proven effective in treating most skin infections in pets. Fast peak time – meaning your cat receives the treatment it needs, fast. A single dose can fight off bacteria for 14 days which is generally speaking the entire course of treatment. As with any drug, there are several possible side effects to the use of Convenia. Most common reactions noted are nausea and vomiting, diarrhea, lethargy, and loss of appetite. Hyperactivity and inappropriate urination are also among the less common reactions to the drug. Even if these side effects are uncommon, it is best to observe your cat for any of these reactions after injection. After all, it is always better to be safe than sorry. Like everything in this world, nothing is perfect. There are several anecdotal reports from cat owners that some Convenia side effects were detrimental to their pet’s health. One example is the case of Eddie, a very healthy cat. He received Convenia during a dental visit and days after, he developed life-threatening reactions.He lost his appetite and became severely anemic. There are a lot of errors committed in this situation. First of all, convenia for cats is not the drug of choice for dental problems. Two, there was no need for an injectable long-acting drug as Eddie at that point was manageable. Lastly, Eddie did not even have a dental issue! Eddie and his owner could have avoided the emotional, physical and financial trauma had their veterinarian decided to go with a different course of treatment. Angelina’s case was unfortunately much worse than Eddie’s. As Angelina’s owner claimed, the poor cat seems to have been suffering from a common cold. Days after receiving a shot of Convenia, she passed away. There are also reported cases of ataxia, seizures, anaphylaxis, pulmonary and facial edema, reactions to the injection site, hemolytic anemia and excess salivation. There are other anecdotal reports you can find online but most of the time, claims like these are unfounded. This means that no formal complaint was filed or that proper autopsy was never done. It is still best to have a discussion with your vet regarding the necessity of Convenia in your cat’s situation and if there are any alternative treatment. Remember, Convenia is being eliminated slowly in the body, thus, its effects are prolonged. You have to weigh the pros and cons and decide if the benefits exceed the risks. Given the Side Effects, Why is Convenia Still in Circulation? Despite the potential side effects, Convenia is still a powerful drug. It can combat infection rapidly and effectively. The Committee for Medicinal Products for Veterinary Use (CVMP) concluded that the advantages of the drug outweigh the possibility of its side effects. What to Do in Case of Adverse Reactions? Observe your pet for any side effects mentioned above. In cases of adverse reactions, you must contact your vet or bring your cat to the clinic immediately. Though we may not wish it upon anyone, feline death may ensue. If that happens, make sure to request for a proper autopsy to be done to find out the specific cause of death. You and your vet should also report the incident to the FDA and the manufacturer, Zoetis at 888-ZOETIS1 (888-963-8471). It needs to be aware of any untoward incident that happened so that it may investigate and take further precautions. Convenia might seem to be the perfect solution to pet infection but NOT a universal solution. It is not intended for ALL bacterial infections. This means that you cannot just catwalk inside your vet’s clinic and ask for a prescription of Convenia. Your cat has to undergo the proper check up including swab and culture of the wound site. This means that the exact strain of bacteria affecting your cat has to be determined before treatment is started. You should also check for hypersensitivities or allergies to Cephalosporins and Penicillins. Convenia should not be given to cats with known allergies to these antibiotics. An extreme allergic reaction is evidenced by shortness of breath, swelling, and vomiting among others that if left untreated could be fatal. If you are the one allergic to Penicillins and Cephalosporins, make sure not to get in contact with the drug. Also, their cat litter is off limits! If you accidentally come in contact with the drug and develop adverse reactions, it is best to consult your physician. Convenia should not be used to cats below 8 weeks old or those with kidney problems. These kitties are too small to properly process the drug and may result in further renal problems. It should also not be used with pregnant or lactating cats. The drug stays long in the body and there is a high chance of it being transferred to the offspring. Just to be on the safe side, treated cats should not be used for breeding for 12 weeks after injection. True enough, it has been found to treat cats and dogs suffering from an infection but not all kinds of infection. It is with proper discernment that Convenia should be used. Anecdotal reports of adverse reactions might raise some concern among the pet community but that alone does not make the drug all bad. Convenia is good enough for it to be approved for animal use. So why are there reports of complications and even death? Sometimes, proper utilization of the drug makes all the difference. Was proper swabbing and culture of bacteria conducted? Is Convenia the drug of choice for the kind of infection your cat has? Does the condition require long term treatment? Are there any alternative antibiotics for your cat’s condition? There are certainly several considerations you should put in mind before using Convenia. Do not get us wrong, it is not a perfect drug. Side effects of Convenia are real and could potentially harm your pet. What we are trying to get at is that no drug is perfect and all medications have side effects. And since it is a very potent drug, Convenia should be used with extreme caution. Once you have decided that the benefits are worth the risks, you as a responsible pet owner should monitor your pet’s activity after drug administration. It is your duty to check for changes in your pet’s well-being and report to a vet if necessary. Do not take it lightly. Convenience should not at all be the only basis of your decision. Your feline friend is counting on you to make the important and hard calls especially pertaining to its health. Discuss with your vet any apprehensions you may have about the drug. After all, vigilance is key!